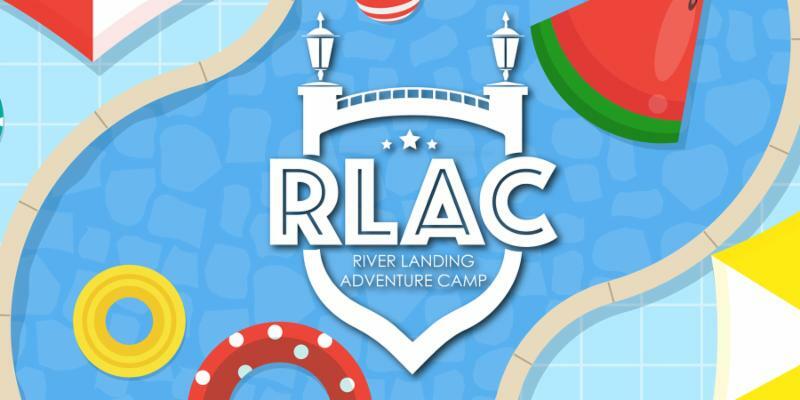 River Landing is excited to offer two weeks of Adventure Camp for children this Summer. Both camps are for children of the same age groups and include similar activities. Sign up for one or sign up for both, depending on your schedule! We look forward to having your child or grandchild in camp this year. Please feel free to bring friends! $185 - Includes all activities, lunch, and special camp shirt. $175 - Includes all activities and lunch. Join us on a great adventure down by the river for boys and girls. River Campers will enjoy activities including golf, tennis, fishing, canoeing, crafts, games & swimming. They will additionally have the opportunity to experience outdoor and indoor programs such as adventure hunts, nature hikes, animal encounters, magic shows, archery class, & much more. This will be a fun-filled week for all ages! Don't get left behind - Jump on this river adventure with us! A maximum and minimum number of participants for each camp will be decided at the discretion of the Activities Director. To register your River Camper, click on the following links to fill out the Camp Registration Form and the River Landing Release Form . Both forms may be submitted to Sabrina Lewis, Activities Director in person at the Fitness Center, by email at Sabrina_lewis@riverlanding.com , or by fax at (910).285.6014. Please follow up by email if you fax. Phone numbers should include an emergency contact during camp and specify who this person is. Comfortable shoes for walking, tennis, and golf. Be sure to label each of your personal items. Sabrina Lewis, Activities Director, at (910) 285.1015.